There is a mom that I met a couple months ago through Kaylie's blog.... she is super sweet, a good listener, and very supportive. Tomorrow her son Liam is having his Posterior Fossa Decompression surgery for his Chiari, tomorrow she needs our support, more than ever. 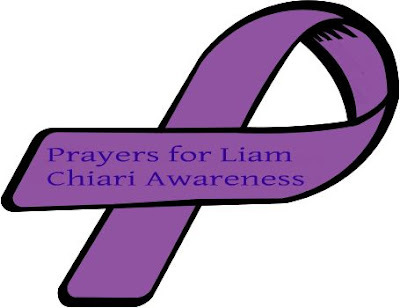 I am asking everyone that has one of Kaylie's Chiari bracelets to wear it tomorrow in honor of Liam. Many prayers go out to him and his family.